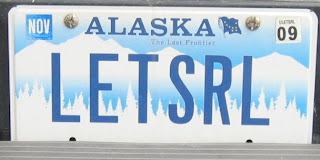 As you may have read earlier, the 2008 Alaska license plate meet is in honor of Earl Jenson. 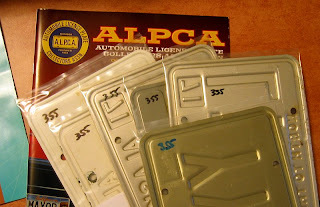 Like some other collectors with a long view of plate collecting, Earl wrote his ALPCA member number (#355) on the backs of his plates with a Sharpie. It's a fascinating little calling card. I knew that I had a couple of Earl's plates, but I had no idea that I had eight until I sifted through my boxes this evening. Even if you can't come to the meet this year, take a moment to flip through your Alaskas, and if you find some of Earl's plates, take a quick picture of yourself holding them up, and send them to me so that we can display them at the meet. 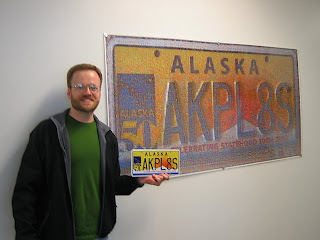 I have been taking photos of Alaskan license plates since 1996. People send me photos they took, or photos of their collection. I also save photos that I find on eBay and the Internet. 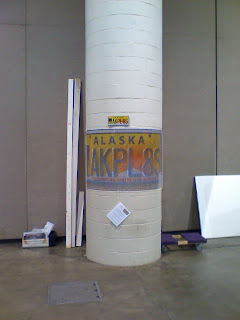 My Alaska photo archive currently contains over 19,000 photos, representing 15,000+ unique Alaskan plate serial numbers and vanity strings (not counting pairs). "Why?" seems to be a common question (way up there with "Are you crazy?" or "What the heck are you doing to the back of my car?") The main reason is that the more photos you have, the more you can tell about when various features of plates changed, etc. Partly for historical research, partly for collector information. But I've always wanted do something more. A couple of years ago, I had the idea to make a photomosaic. After a long search for software that would handle license plate photos properly (see below), here are my dad and I holding the results of my first attempt! To create a photomosaic, you first collect a large pool of photos to use as tiles, and select a single photo to use as the base. The pool of photos are resized to match the tile size needed. The software then divides the single base photo into a grid of smaller sections, analyzing each section for color and brightness. Finally, the software analyzes each of the smaller photos for the best match on color and brightness, and assembles the final image. Here's a close-up of the top-left corner of the image. You can click on it to see more detail. I used Metapixel because it had the right features for the right price. Most importantly, it lets you specify the dimensions of the tiles. Most photomosaic software assumes a photograph's dimensions (3 by 5, etc. ), but most plates are 6" x 12", so the photos come out stretched and the plates look wrong. Also, Metapixel is open source, and I'm a big fan of unencumbered software. I had the resulting image printed as a 3' x 6' poster at the Kinko's in Grand Junction. (They were extremely helpful and friendly!) And thanks to my family for waiting in the car while I explained in great detail what I wanted to accomplish to the Kinko's folks! And here the poster's current home: in the hallway of the Benson Boulevard office of the Alaska DMV! If you're at the Benson office and have a few minutes to kill (and who doesn't? ), it's down the hallway to your right as you enter the building. Just turn right past the written driver test area. So ... have enough photos now? So this is one of the things I'm doing with the photos. I have other plans in the works. The more photos that I have (both for making mosaics, and for historical purposes), the better. I don't care if it's a 1921 or a vanilla blue-on-gold; I don't care if it's mint, covered in road tar, or half rusted through. Send me your photos! Update 10:29pm: A couple of folks asked me how many individual images were in the poster. 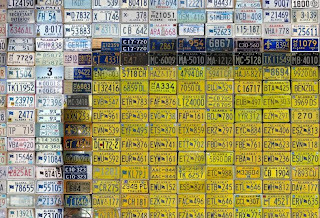 115 plates wide by 119 plates high = 13,685 total license plate photos! Update 9/10 7:09am: I can't believe that I forgot to thank the many people who made this possible! So many folks helped by sending me photos, giving me permission to use their photos, and letting me take photos of their plates at garage sales, at meets, in private collections, at the Museum, and on their cars. I couldn't have done it without you! The Anchorage Daily News recently ran a photo of this 1980s-era vanity plate in the paper (starting around Sep 3, 2008) and also in this thread, in which they report the plate as registered to Sarah and Todd Palin. "FE K9" is a reference to the Iron Dog, a famous snow machine race from Wasilla to Nome to Fairbanks. Todd Palin is a competitive snowmachiner. 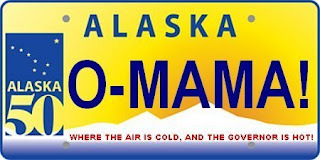 What other elements would make a good Alaska plate? Reported by Sean Morris of Alaskan Nomad. Thanks, Sean! 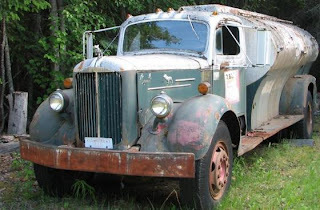 If you have the 1962 Alaskan license plate with the number LT 2-487, drop me a note. Crazier things have happened! Politics aside, I have to admit that it's pretty clever! 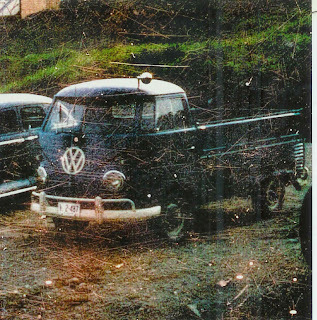 The "ATC WT FEE" plates were to show that a truck had paid their weight fee and was in good standing with the Alaska Transportation Commission (the requirement for which was part of the Alaska Transportation Commission Act, repealed in 1983. (I'm still researching the original Act). 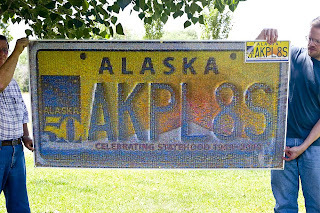 Webshots user grannyelge has a great shot of one of these plates still on a truck in Hope, Alaska. UPDATE 2008-09-06: Ms. Elge has given me permission to post the picture here directly. Thanks, Clara!